This article by Jeannette Miller appeared in Hoy. Here is my (faulty) translation of the text. The original review (in Spanish) can be found by clicking on the link below. 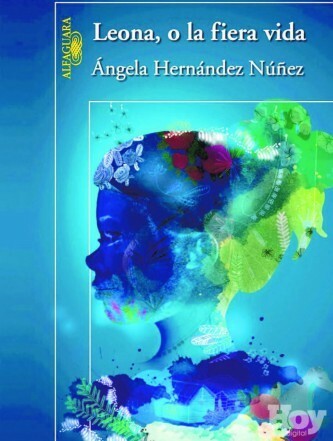 Angela Hernandez is a highly regarded Dominican writer with a wide ranging and impressive body of work to her name that encompasses poetry, fiction, essays, scholarship . . . all areas in which she has published with distinction. I am not going to talk about the fact that, although she has won prizes in every genre she has tackled, she has yet to be awarded the nation’s most important literary prize, one she has fully earned. Nor I am going to talk about her as a person, a human being who seems to slip through a stormy and brilliant life without allowing us to penetrate into its darknesses. Anyone who comes to know her and experiences the kindness flowing from her, her slow and melodious tone of voice, her “beatific” smile, as Manuel Rueda once described it, cannot fathom the inner strength and immense heart that helps her survive. And this is confirmed by her literary work, from the story “Gnawing on a rose” to her novella Mudanza de los sentidos. . . and to what I now consider to be the greatest work: Leona of la fiera vida, now in print from Alfaguara. Given the quality of her writing and the prestige of Alfaguara as a publishing house, I had long yearned for Alfaguara to publish Angela or for Angela to publish with Alfaguara. The time has come, and as a result we have a book in hand for which I foresee great success. Leona of la fiera vida is so broad-ranging that I propose here to touch upon only the most representative topics. The first of these qualities is the use of a vocabulary that perfectly enhances the identity and psychological profile of her characters. Most of them are natives of Quima (her native Buena Vista), the town that has become Angela’s Macondo, where everything is possible, particularly solidarity, mercy, equality, and the realization of all dreams. Like in a Passolini film, here the reader can see parade before him the vicissitudes of everyday life, petty traders with missing teeth who sell door to door, dictatorial school teachers, a mare named Batalla, a menacing guard, a rich cocky youth . . . but especially the women, owners and true protagonists of everything. Widows, deceived and abandoned women, poor women, women in rags . . . women who weave bonds of attraction and repulsion around them, women to whom it does not matter if the others are gossipy, aggressive or bitchy, but who support each other in solidarity through life’s crucial moments. There are so many characters and so many magical situations that sometimes the character’s name matters less than the pure and simple facts of everyday life that metamorphose into moving dramas, as when Leona is nearly raped by her brother in law, or the happy fairytale ending when they find the three gold coins that Enmanuel had buried—just in case he died—before he was taken ill to the capital. The elaboration of the characters’ environment, which is the most beautiful aspect of this highly descriptive novel, is loaded with a lyricism that Angela secured using adjectives as epithets (fiera vida, gorda mata), an element that enhances the narrative’s poetic pace and which, although barely noticeable, works perfectly well. She uses the interesting technique of inserting into the middle of a Leona’s narrative—separated by a comma and set apart by the use of a capital letter—what other characters say to her (whereas in other parts of the novel the narrative relies on regular punctuation). In the text you are surrounded by the encompassing nature, from the smallest insect to the huge crushing, dense trees, always seen against the backdrop of the blue mountains. The names of the leaves of the medicinal plants, of roots, of the wet jungle, of food, are those used in Quima to describe its ecosystems, its people, their customs, opening a retrospective journey through the language in which not only our recent history, but the traces of the “beginning” were recorded . . . and the river that meanders and returns, following history’s course, as if the writer ‘s hands were guided by Heraclitus. The narrator mixes types and levels of language, with a peasant term appearing alongside a refined term, since her characters and what they do is more important than the Trujillo Era or the April War—historical events only serve as backdrop to the personal and family events that affect and define its members. Like the beloved brother, Virgil, an archetype of intelligence and kindness, who becomes a revolutionary and is present in the novel only through the love of his family, especially that of his sister Leona. Or the odious Lorenzo, player, drinker and abuser, the older brother who only used them to his advantage and ended up joining the army, but whom they spared because he was family; or the beggars who showed up daily to enjoy the generosity of Beba, the widowed mother, herself also poor but also a Spartan mother courage who wrapped herself in a shell of strict almost military discipline to make sure her daughters studied and helped with the housework so they could be assured a future and be protected from evil tongues and disrepute. The neighbor who shares her food, the one left behind by the rascal who made her pregnant, the rich landowner with many mistresses . . . but also the little girl that plays baseball better than the boys, the teen whose sweet voice graces Sunday Mass and the deranged daughter who played her dead father’s accordion like a virtuoso. Many could describe Leona . . . as a costumbrista novel, but what text that paints the reality and environment of such a town is not? Life and its circumstances, the laws of chance and violence and how we respond to them . . . that is, in short, the real structure of the novel. A novel with two protagonists: Leona, the narrator and character around whom events develop, a writer from the beginning of the cosmos, blessed by the “cause” and destined to dream to find the truth of things … And Beba, her physically and mentally omnipresent mother, whose experiences serve as a referent for the new things Leona encounters. The almost baroque writing we find in Leona has not been easy for Angela; the diversity of the worlds it describes and the heterogeneity of the vocabulary used with such consummate balance would have seemed impossible to any other author. But Angela Hernandez is one of our best writers. The full command of her craft has allowed her to play with fiction and capture a scale of values, convictions and beliefs that define it as a being.